I stopped baking for hire at the beginning of January 2018 and started to write this post and then left it sitting in the draft folder for the past 4.5 months. It was hard to stop. It was hard to say. It took a lot of courage for me to know that people weren’t going to understand why I was stopping something that was successful right in the middle of a growth spurt. It was hard for me to worry that people would think I had failed. What happened was I realized that story I was always telling about “my bakery started me” was true and it wasn’t a good thing. I didn’t set out to start a bakery. I set out to be the best baker I could be. I didn’t want to sell desserts or open a shop. I just didn’t see what else to do when people offered to buy my things. I thought that was how business was made and when people wanted to buy your stuff that meant you’d reached success. That’s the American Dream right? Make something everyone wants to buy, sell it, get rich… yadda yadda yadda, happily ever after. I thought that to be a successful baker I needed to sell more baked good in more places to more people. I got confused. It took a hard tumble and hitting a few walls before I took the time to reflect on my own thoughts and feelings. I tend to put myself aside and try and please the world. Crazy me, huh? When I finally sat down and got still, I saw clearly that I love baking, art and creating. I love teaching everything I know. I love sharing desserts with people who love to eat! I LOVE recipe development and sugar art. I love other creators. I don’t want to compete with them. I want to collaborate and connect and enjoy the company. I’m an artist and teacher at heart, not a full time in the kitchen all the time baker. I found out that sugar is my artistic medium of choice, versus having a desire to feed the masses. There is a big difference in production baking and baking for pleasure. 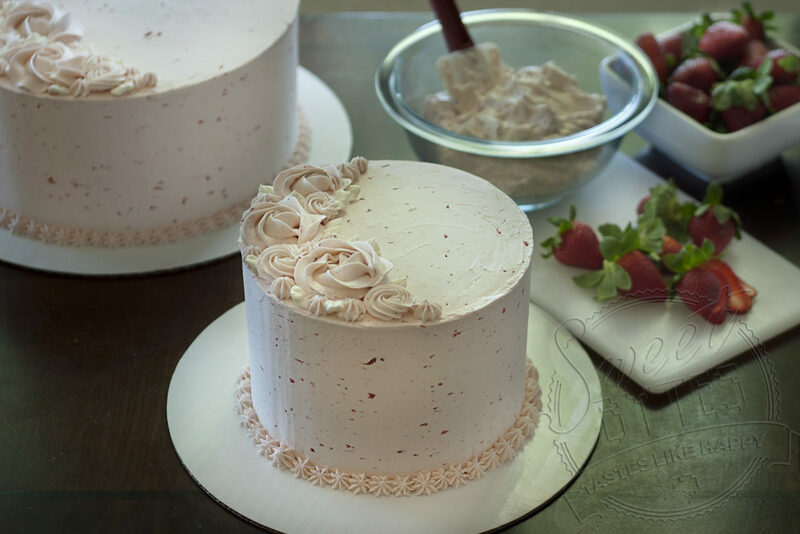 There is a huge difference in making a cake for family vs. a client who paid a lot of money. In short, I am reclaiming my pleasure in baking and sugar art and my calling to teach. Only this time, I won’t be teaching in public schools, I will be teaching here and wherever else I get the opportunity. This space will be transformed into my place share cake decorating ideas, dessert recipes, baking tutorials, along with the lessons I’ve learned running my home bakery since 2013. I am reclaiming the joy that I find in the process. I hope you’ll join me! Hi, I am no longer teaching classes. I’ve listed my best resources for instruction in OKC as well as learning online. Best wishes!